The White House announced that it will be waiving the Jones Act as the island of Puerto Rico continues to suffer from the devastation left by Hurricane Maria. Press Secretary Sarah Huckabee Sanders tweeted Thursday morning that the act would be waived and "go into effect immediately." Shortly after, White House Homeland Security adviser Thom Bossert thanked Puerto Rican Governor Ricardo Rossello for his petitioning of the White House for a temporary waiver, and credited the work of Acting DHS Secretary Elaine Duke and FEMA Director Brock Long for their "seamless fuel delivery" to the island. The Department of Homeland Security was under pressure from members of Congress to waive the Jones Act, a law that dates back to 1920 in order to speed up the shipment of goods and commodities to Puerto Rico as it deals with a humanitarian crisis after Hurricane Maria. The Jones Act requires that all goods shipped between U.S. ports be carried by ships built by Americans and operated by Americans. Under the law, foreign vessels that enter Puerto Rico are subject to taxes, fees and tariffs. Sen. John McCain, R-Arizona, sent a letter to DHS' Duke on Tuesday urging that the law be waived and arguing that it should ultimately be repealed. McCain said that the emergency waivers are valuable in speeding up recovery efforts. 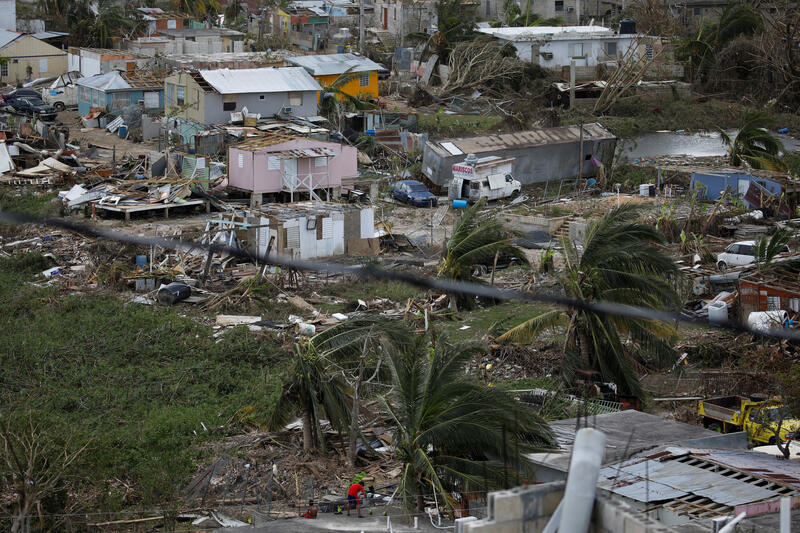 "I am very concerned by the Department's decision not to waive the Jones Act for current relief efforts in Puerto Rico, which is facing a worsening humanitarian crisis following Hurricane Maria," he wrote. "It is unacceptable to force the people of Puerto Rico to pay at least twice as much for food, clean drinking water, supplies and infrastructure due to Jones Act requirements as they work to recover from this disaster." Senior DHS officials said Wednesday that the department has not received any formal requests to waive the Jones Act, although they acknowledged receiving the request from the group of House lawmakers. They claimed they hadn't received any from senators despite McCain's letter. These officials also stressed that the Jones Act is not interfering with the Defense Department's and FEMA's efforts to get goods and commodities to the island. They said the challenge is moving those things around Puerto Rico. Following the official waiving, Duke released a statement saying, "This waiver will ensure that over the next ten days, all options are available to move and distribute goods to the people of Puerto Rico." She said it was intended to "ensure we have enough fuel and commodities to support lifesaving efforts, respond to the storm, and restore critical services and critical infrastructure operations in the wake of these devastating storms." The waiver will now be in effect for 10 days after signature and covers all products being shipped to Puerto Rico. Earlier Thursday morning, Florida Senator Marco Rubio also urged the federal government to waive the act, tweeting the same had been done for "every major storm since #Katrina." On Wednesday, Rubio told CBS that he had staff in Puerto Rico who met with local officials and expressed that "there's a growing amount of frustration." He said that the local officials had told his staff they "haven't been getting the resources to do anything, much less go out and make a difference." He warned that the situation was "going to continue to deteriorate" until logistical routes were opened up and said an increased role for the federal government is "going to be essential to open up these transport capabilities so you can get the aid to the places they're needed." Mr. Trump commented on the possibility of waiving the act, telling reporters upon his return from Indiana on Wednesday that the administration was "thinking about that." "We have a lot of shippers and a lot of people that work in the shipping industry that don't want the jones act lifted. We have a lot of ships out there right now," he added.